Looking for a simple salad to prepare for your weekend company? 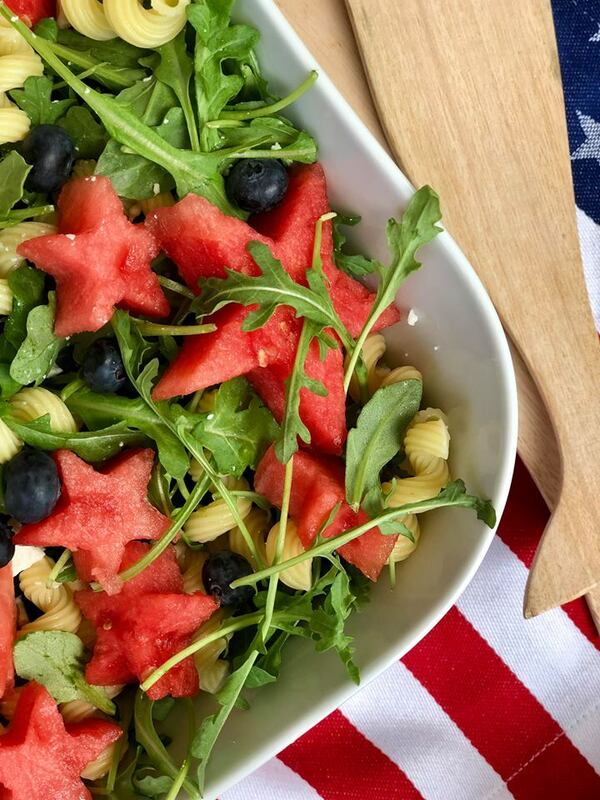 This 6-ingredient salad comes together in minutes and is festive enough for your holiday weekend BBQ. Why do I love this salad so much? The sweet watermelon and salty feta is a classic pairing and very refreshing. 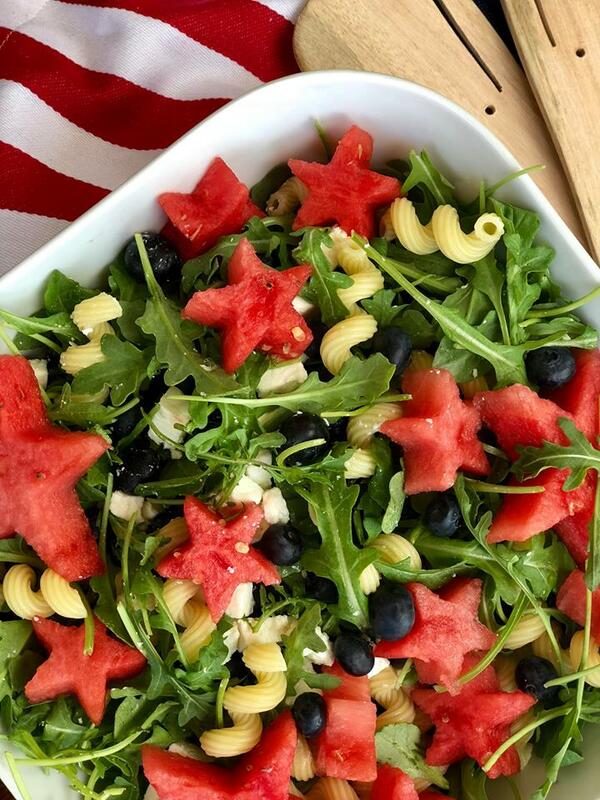 Star shaped watermelon makes this salad extra festive and is simple to achieve, with a star shaped cookie cutter. 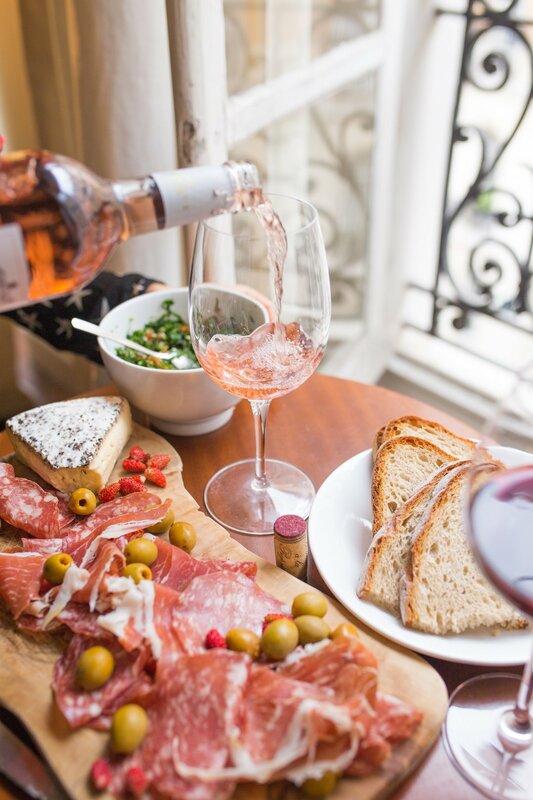 As I’ve said before, when it comes to summer entertaining, I like to keep things as simple as possible. I’d much rather spend my days with family and friends – not cooped up in the kitchen. Salads such as this pair wonderfully with chicken, fish, burgers, steak… you name it! I often find I have many of these ingredients on hand all summer long, which makes things even more convenient. 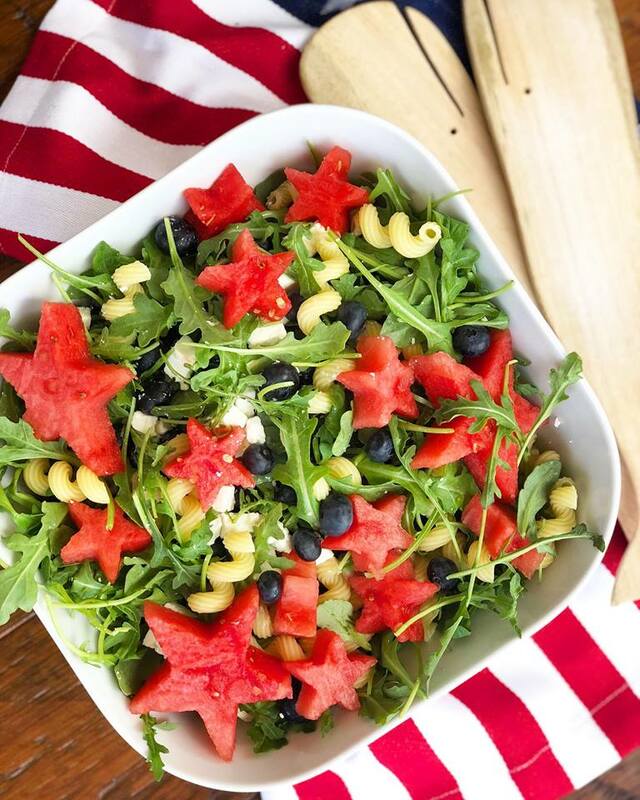 Place the arugula, watermelon, feta, blueberries and pasta in a large bowl. Dress with a vinaigrette of your choosing or use the one I used above. For the vinaigrette, whisk together the orange juice, lemon juice, shallots, honey, salt, and pepper. Slowly pour in the olive oil, whisking constantly, to form an emulsion. If not using within an hour, store the vinaigrette covered in the refrigerator. Drizzle with enough vinaigrette to coat the greens lightly and toss well. Taste for seasonings and serve immediately.